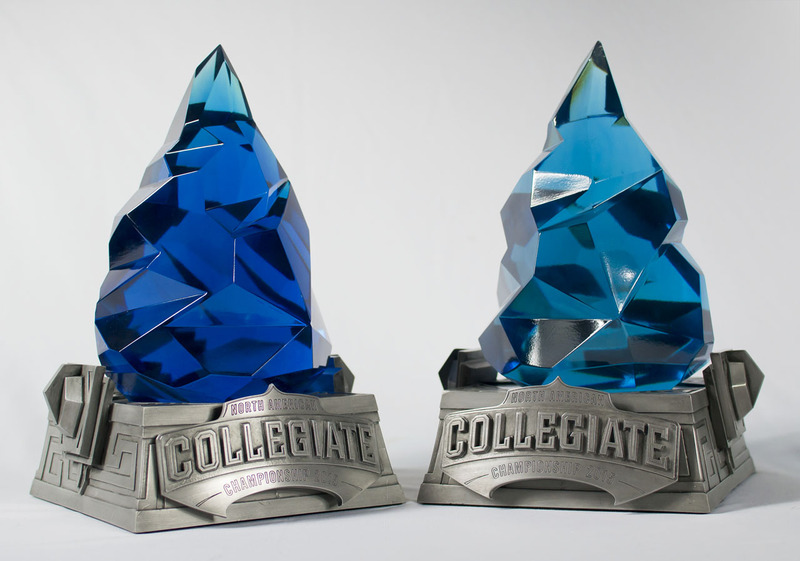 The textbook definition of a short deadline, I was given three weeks to both design and replicate eight awards for the League of Legends North American Collegiate Championships. 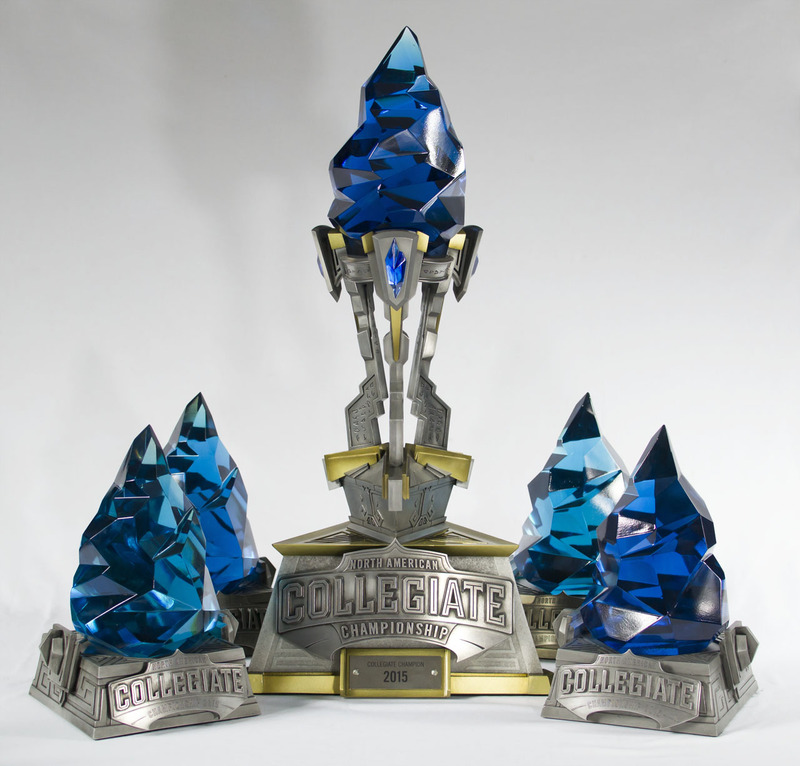 There would be seven smaller pieces used as individual trophies for the team members, and one large “hero” award used as the centerpiece during the championship match and awards ceremony. 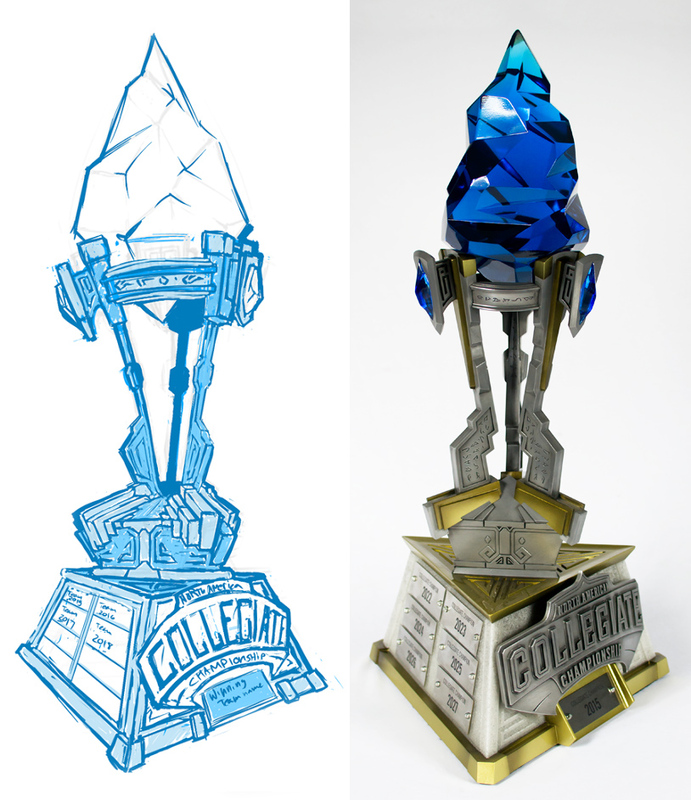 The design of the pieces was handled by Thomas Weiser who also penned both the Curse Dragon and Curse Flame awards. 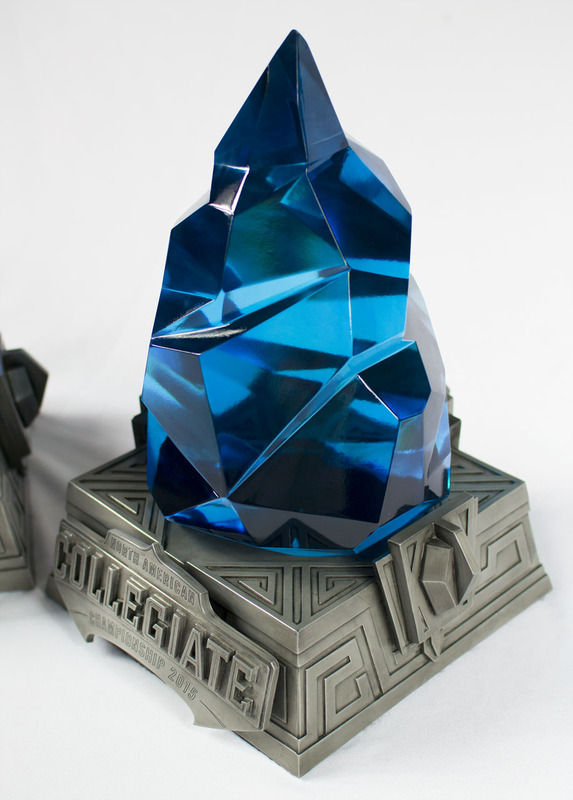 Referencing game design from Summoner’s Rift, cast urethane resin and various fillers were used to simulate the look of metal, marble, and clear gems. 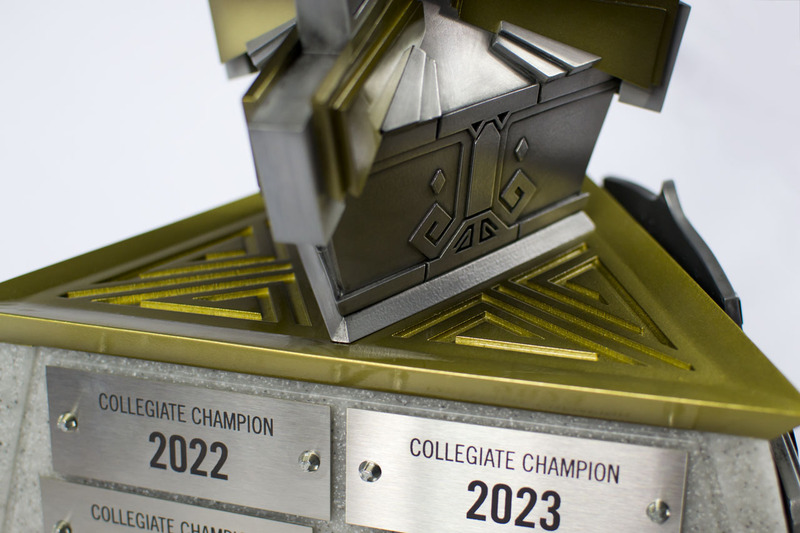 Placeholder plaques on both back sides of the triangular base display previous NACC winners as the tournament grows over time. 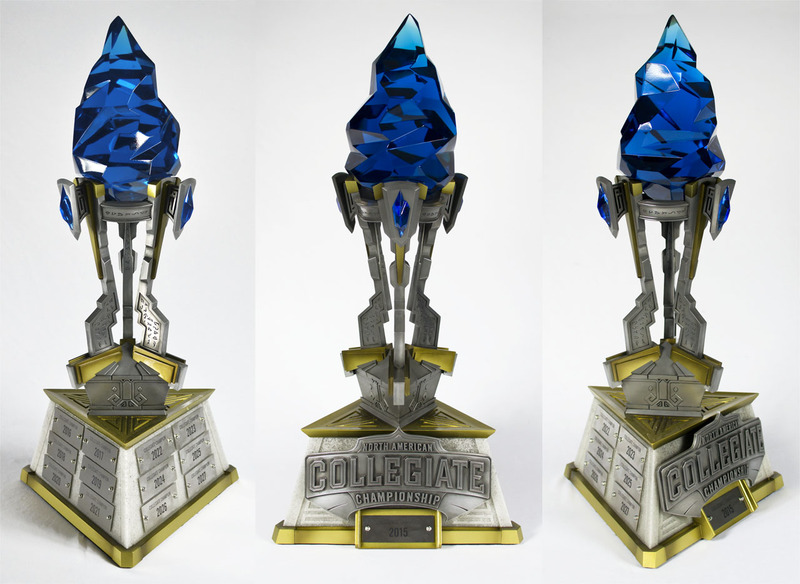 The finished large trophy measures just over 32″ tall, weighs around 25lbs, and is composed of 19 individually cast components. 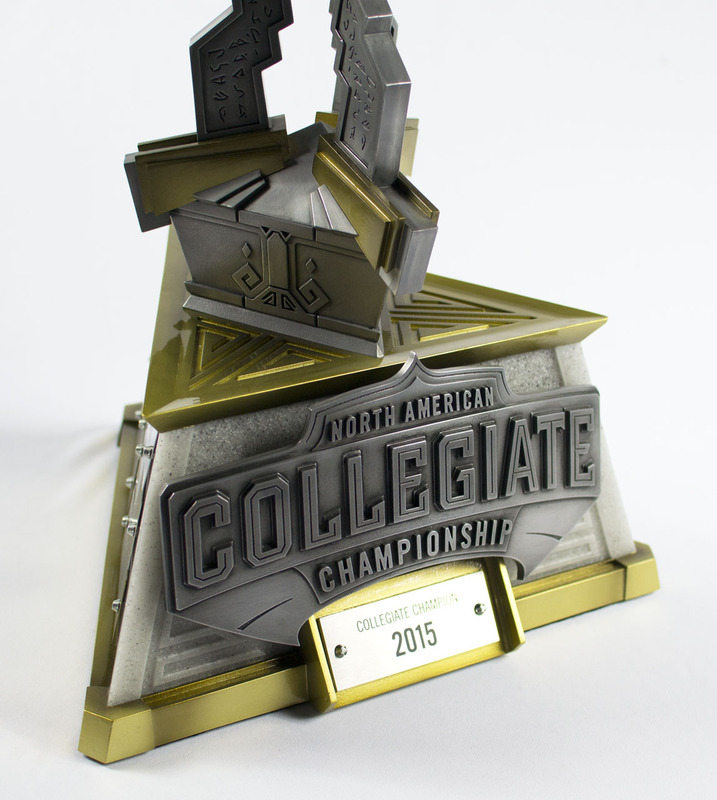 The smaller awards measure a little over 13″ tall and weigh around 10lbs. 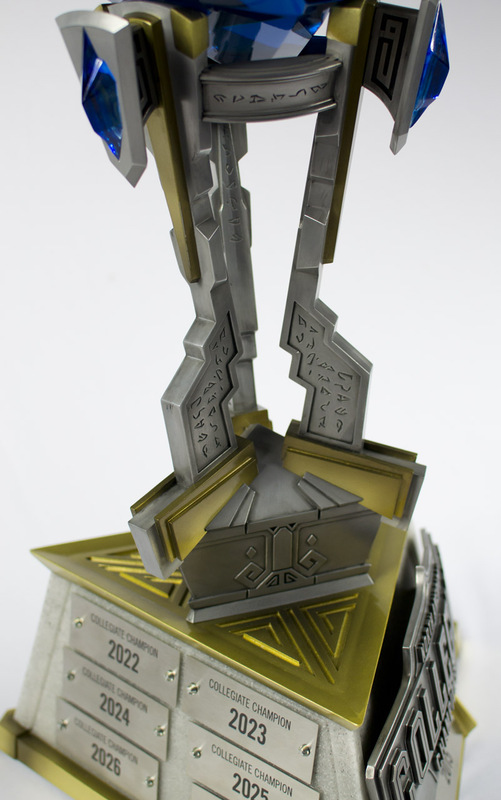 In order to make sure the piece could withstand a jubilant awards ceremony, each arm stalk was cast around a 3/8″ steel bar for rigidity. 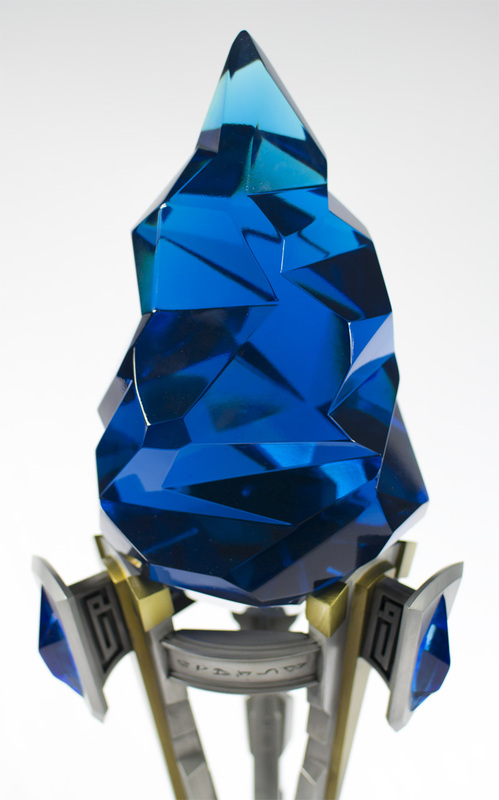 A set of steel pins hold the gem in place and over a dozen screws anchor the base to the lower stand and gem arms. After assembly the piece could be picked up by the top gem as well as any of the thin arms without issue. The total build time for this project was 300 personal hours and around 50 hours of work by my assistants over a period of 21 days.